It was really on my heart to share the great work of a few of my sisters in ministry. Understand that ministry is literally serving and I’m sure that many of you do ministry in your everyday lives. Establishing God’s kingdom; that is His heart for mankind, His ways, His holiness, His character and His word. Doing everything to prepare for His coming. Pointing men to Him as the source of everything; that is our salvation, our hope, our peace and our refuge and reconciling men to Him (2 Corinthians 5:18). There are so many ladies doing awesome things as a fruit of their sonship (or ‘daughtership’ for the extra folk lool) and I’d like to celebrate and encourage a few by mentioning their names, ministries and works below. Check out their websites and social media pages to stay connected with their upcoming events and work. (I’m totally going to have to do a Sisters in ministry blog part 2, as there are too many incredible women to mention in one post). Ify, I remember the first Brains and beauty event, it was so refreshing to see a young woman who has stepped out to do exactly what God had asked, laying down the fear of peoples opinions and false feelings of inadequacy. Your courage gives courage and for that I am so grateful. Since salvation at the age of 18 in 2005, Mrs Ajala has worked with and for the future of young people in the current times. She is an uncompromising speaker of God’s word and an incredible mentor. AskAnu is an organisation aimed to motivate, inspire, advice and equip people to incorporate Christ into everyday life. Everyone needs an Anu in their life. She is a real gem, who knows how to use the mundane things in life to encourage us in The Lord. Her Make Up event was a big hit and we look forward many more. Follow the hashtag #AskAnu and keep up with her via her facebook page. Such a great idea set up by the young and beautiful Orianne. I love the fact that ‘minsitry’ is not confined to the pulpit and young women like you are constantly pushing the archaic barriers. More grace to you and readers, be sure to check out the online store! I am forever in awe of the genuine zeal and wisdom in Caitlin who has availed herself to be used by God in a mature way at such a young age. This generation needs you and the God in you. Continue to shine as an ambassador for Him and raise up more in preparation for His coming. Well done beautiful! The Growth Box began with a passionate young lady, who had a desire to positively impact the lives of individuals in the United Kingdom and around the world. 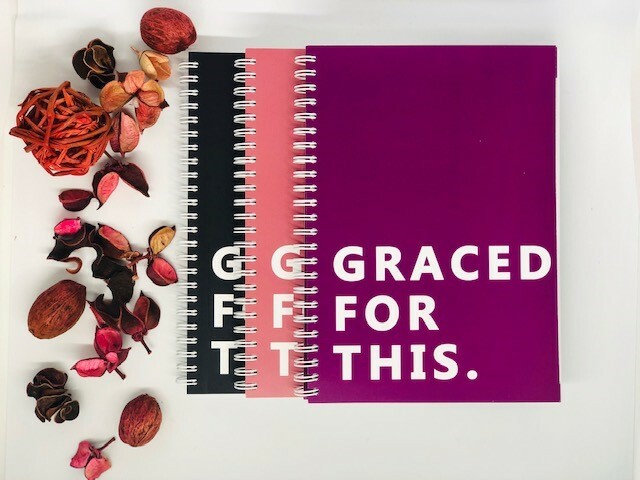 She chose to focus on an idea that consisted of providing people with a regular selection of empowering Christian books, products that support social good companies and the opportunity to give back to society – she decided to call this THE GROWTH BOX. A wonderful vision which I blogged about when I received my first growth box. Thank you for stepping out sis! Sign up to the growth box guys!